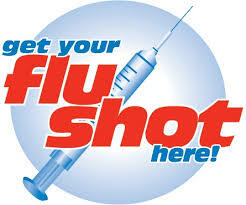 Flu Session is ongoing, there is time to protect yourself and your family by getting a flu shot. We all need immunizations (also called vaccines or shots) to protect us from serious diseases like measles, pertussis, diphtheria, and rubella. Unfortunately, people in the U.S. still die from these and other vaccine-preventable diseases. Everyone over age 6 months needs a seasonal flu shot every year. Other shots work best when they are given at certain ages. Talk to your doctor or nurse to find out which immunizations you need. Children need a series of shots from birth to age 6 to protect against measles, polio, chicken pox, and hepatitis. Visit our Child Immunization page. All 11 and 12-year-olds need shots to help protect against tetanus, diphtheria, whooping cough, and meningitis. The CDC recommends girls and boys get HPV vaccine to protect against the most common cause of cervical cancer. All adults need a tetanus booster shot every 10 years. Visit our Adult Immunization page. People age 65 need a one-time pneumonia shot. Vaccine-preventable diseases, like whooping cough, influenza and hepatitis A are still present in our community and still a threat to the health of our community--including some of the most vulnerable people, our children. National Infant Immunization Week and Toddler Immunization Month celebrate the power to protect children that immunization offers. The County of San Diego Health and Human Services Agency urges parents to make sure their children are protected against vaccine-preventable diseases. To learn more about these observances, and for downloadable materials and resources to celebrate the Week and Month, please click here and visit our National Infant Immunization Week and Toddler Immunization Month web page. Are all the toddlers in your practice up-to-date on their vaccines? A baby’s 1st birthday is not just an occasion for cake; it’s an important health milestone. One-year-olds need a well-child check-up and routine vaccines. Children between 12 and 15 months old are recommended to receive Hep A, MMR, Varicella, Hib, and PCV. Kids 15-18 months old need a 4th dose of DTaP. Some patients might need a catch-up dose or a flu vaccine, so check every child’s shot record at every visit. Never miss an opportunity to vaccinate. EZIZ - Immunization and training resources for providers.